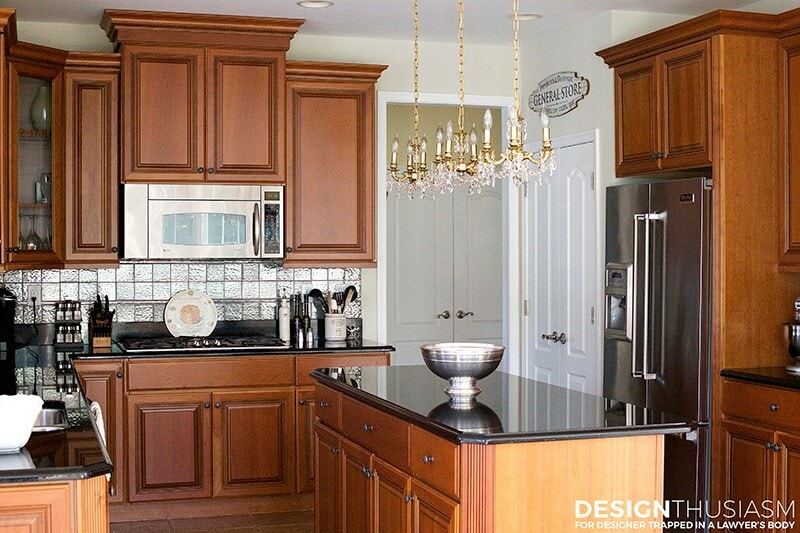 It is easier than you think to take your kitchen from builder grade to gorgeous on a budget! 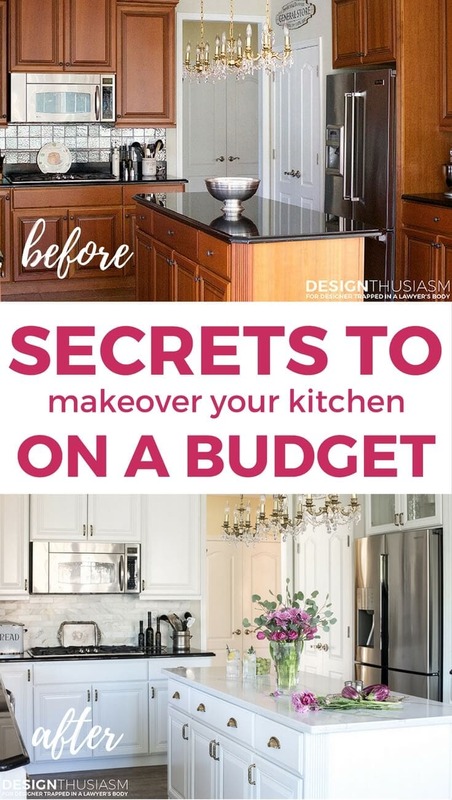 These kitchen makeover secrets will save you money and give you great ideas! 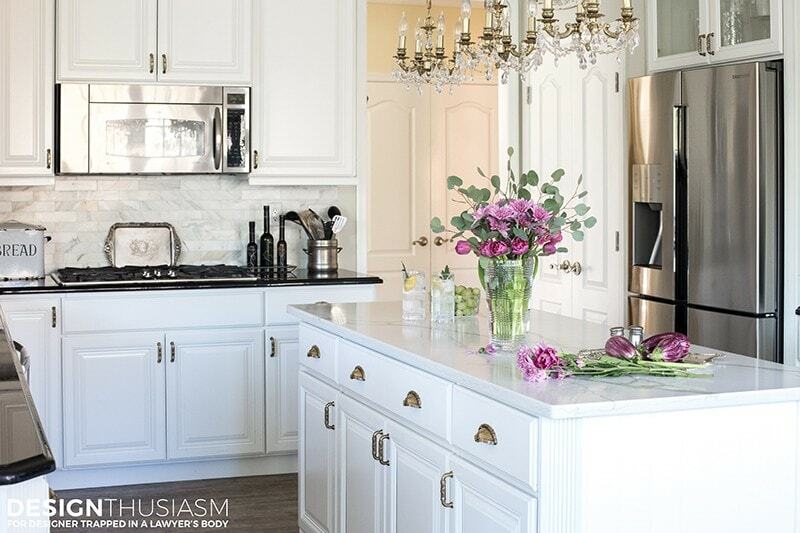 Do you love your kitchen? I mean ‘walk into it and feel blessed every morning' love your kitchen? You can and you should! 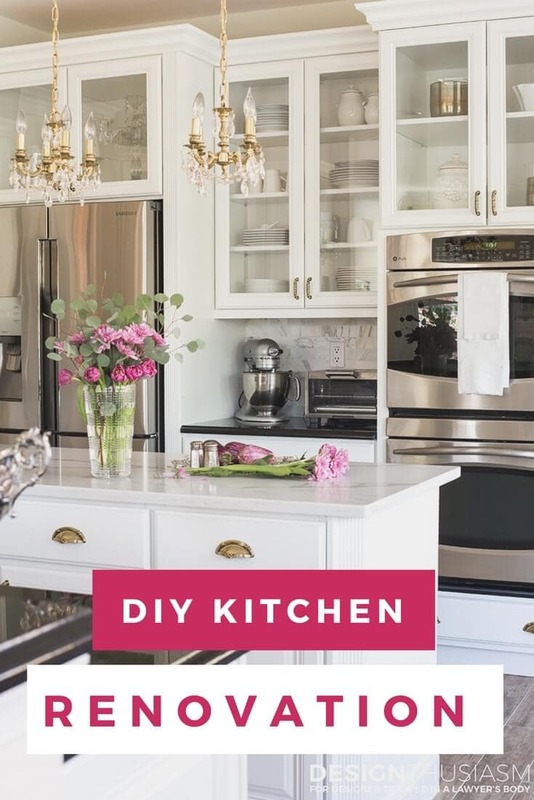 I’m Lory from DesignThusiasm and today I’m going to share with you how I gave my cookie-cutter, builder grade kitchen a dream kitchen makeover on a budget. The photo above is the before pic. When we moved into our townhouse 2 years ago, the rooms were spacious but very dark. The kitchen walls were painted a dark mallard blue and the lights over the island were down-facing amber pendants, offering very little light. 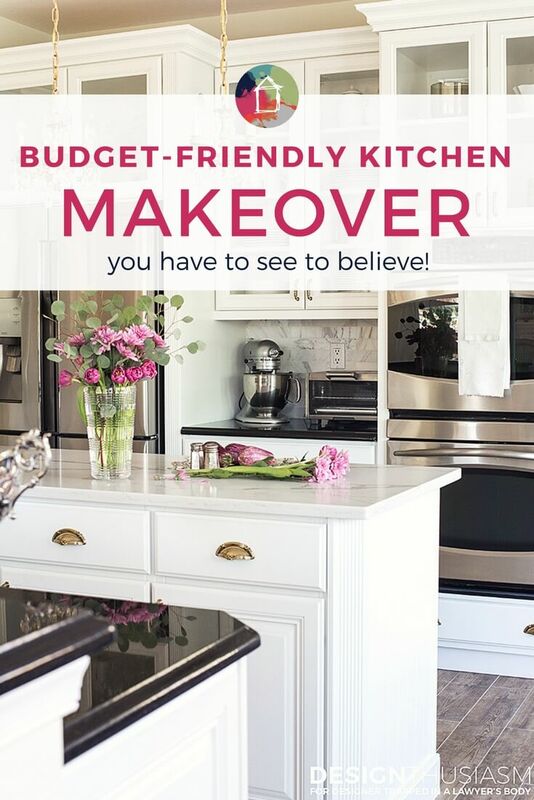 I immediately changed those two things, knowing I had a kitchen makeover planned down the line. We were grateful to be blessed with a good layout. But I’ve wanted a white kitchen for 20 years! 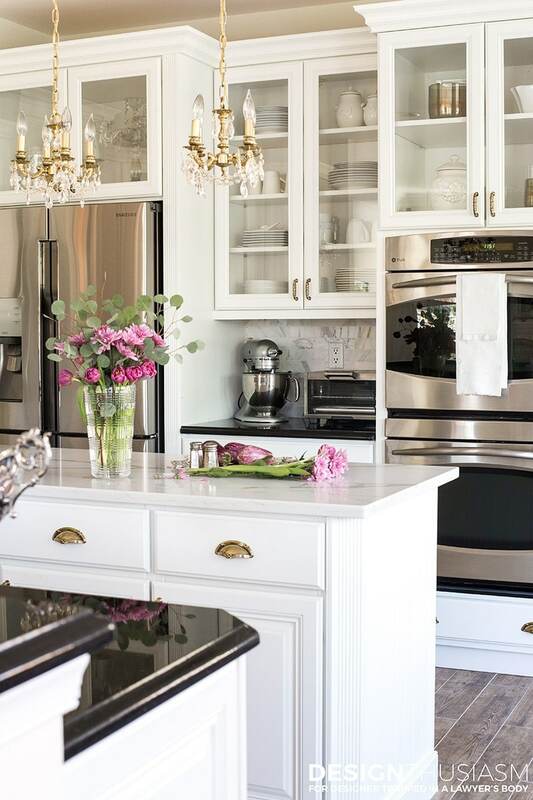 When we gutted our kitchen in our old house, the contractor talked me out of installing white cabinets, saying they’d look dated as the years passed. Here we were 20 years later and I still longed for a white kitchen!! While you can see the footprint is exactly the same, I think you’ll agree it looks like a completely new kitchen. And that’s how we saved a ton of money. Now, to be sure, I would have loved to rip out the cabinets and start from scratch. They’re not fully custom and I hate that they don’t extend to the ceiling. Some of the interior features are not where I would have chosen to put them and while the quality is ok, it’s not top shelf. 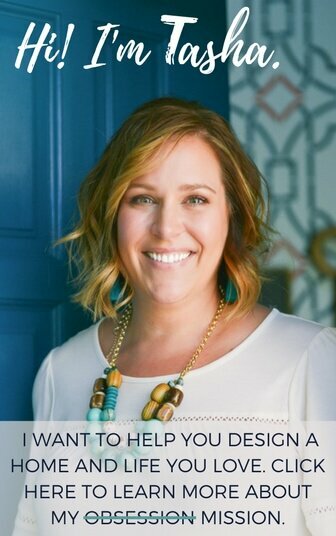 But we all have to pick our battles and I would've had to wait many years to renovate a kitchen from the ground up. So instead I had to evaluate where to put our money during our kitchen makeover. 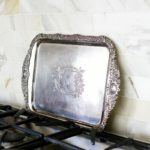 What was worth investing in and where could we comfortably cut corners? 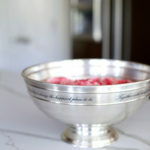 The second key money-saver that nonetheless made a huge difference to the look is the way we approached the counter tops. 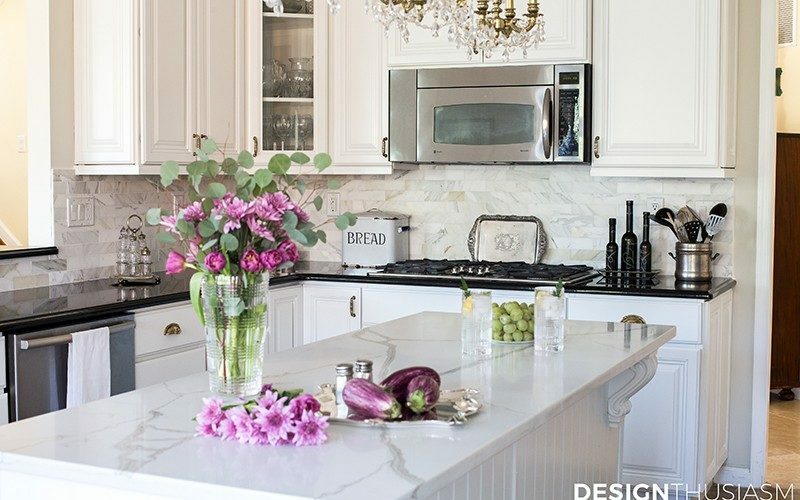 Yep, I would have loved all white marble counters throughout the kitchen. 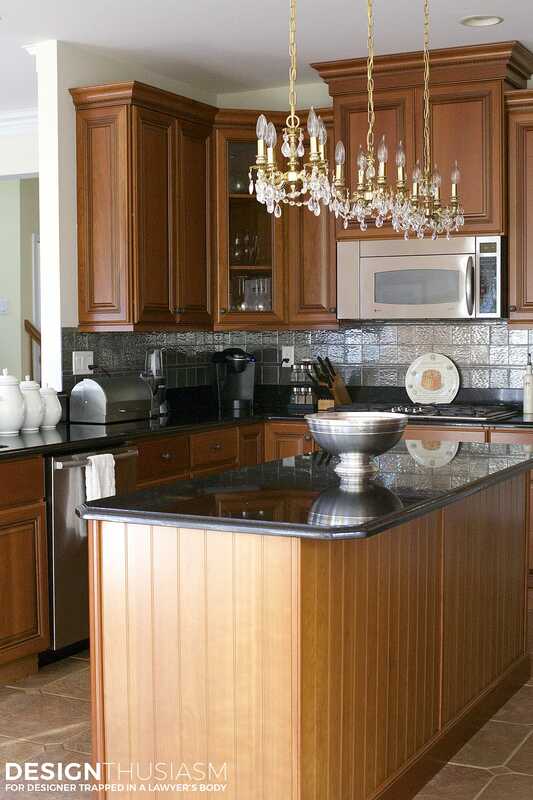 I don’t love the black granite and especially the ogee edge. But we have a lot of counter space and that just wasn’t in the budget. 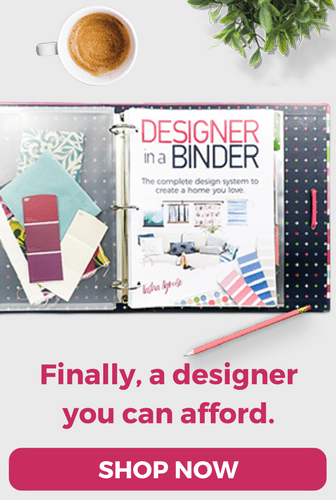 So where in my kitchen makeover are the places I decided to invest? When it came to the backsplash, I chose not to compromise. It’s a relatively small space but one you look at head-on. The first thing I was insistent on was removing the thick granite piece at the bottom. I prefer clean lines and wanted the entire backsplash to be one material. 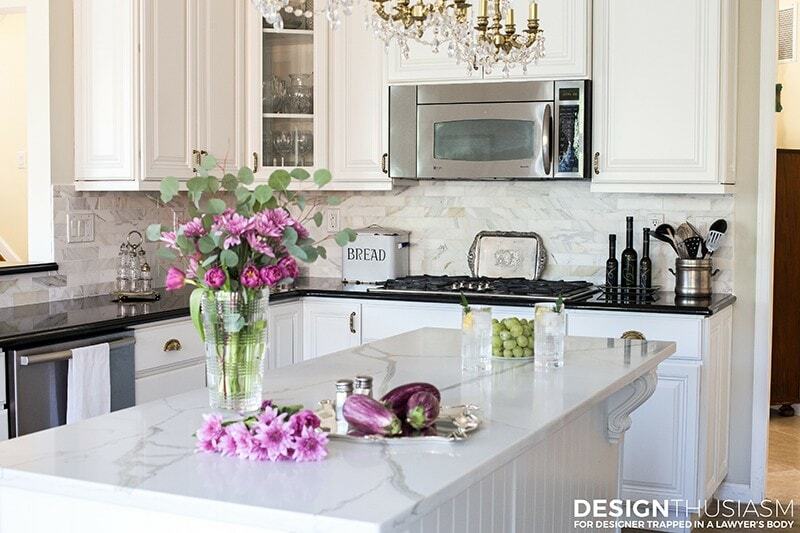 I selected my favorite marble, calacatta gold. 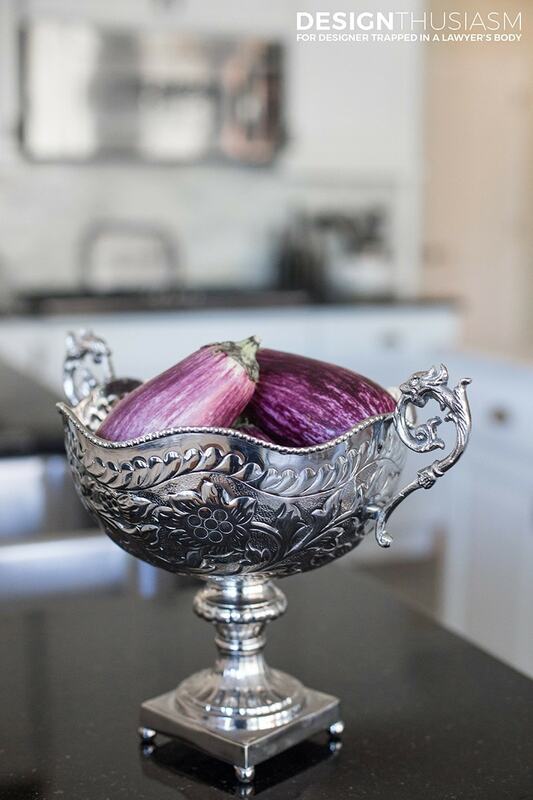 For me, this is a detail that adds something special to the room. 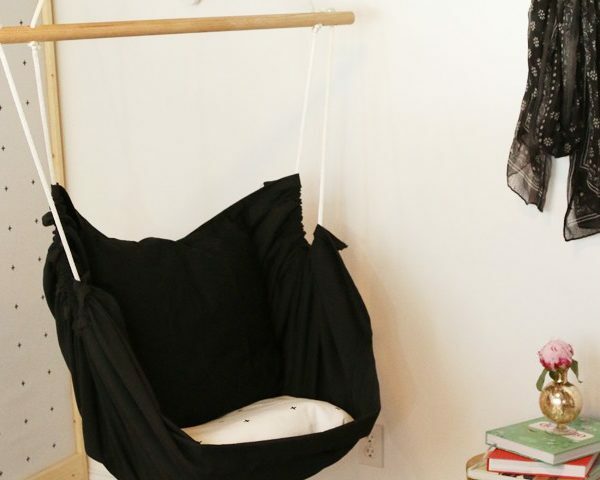 It’s like wearing a classic outfit and adding a gorgeous silk scarf. 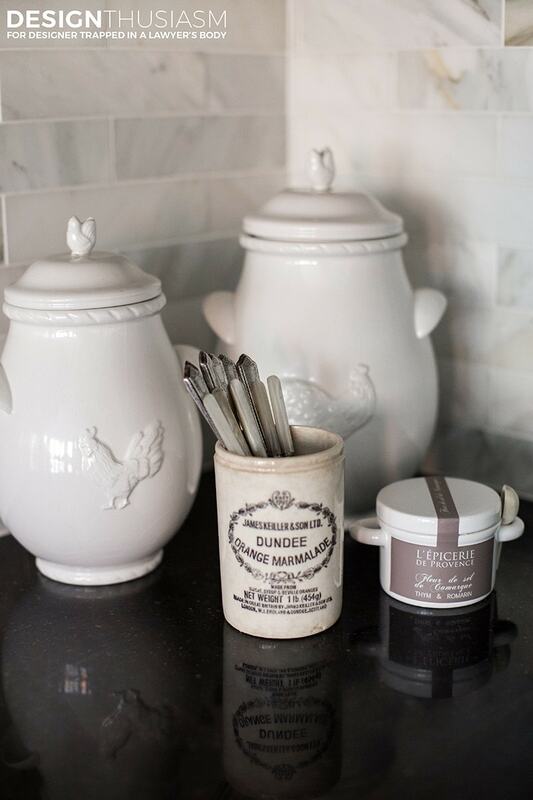 The renovation would still work with plain white subway tile, but I chose to invest in this small indulgence. I also opted to replace the floor, as I truly hated the dead color of the existing ceramic tile. But another little secret I’ll let you in on, the floor is actually not wood planks. It’s porcelain tile in a wonderful antiqued wood pattern! 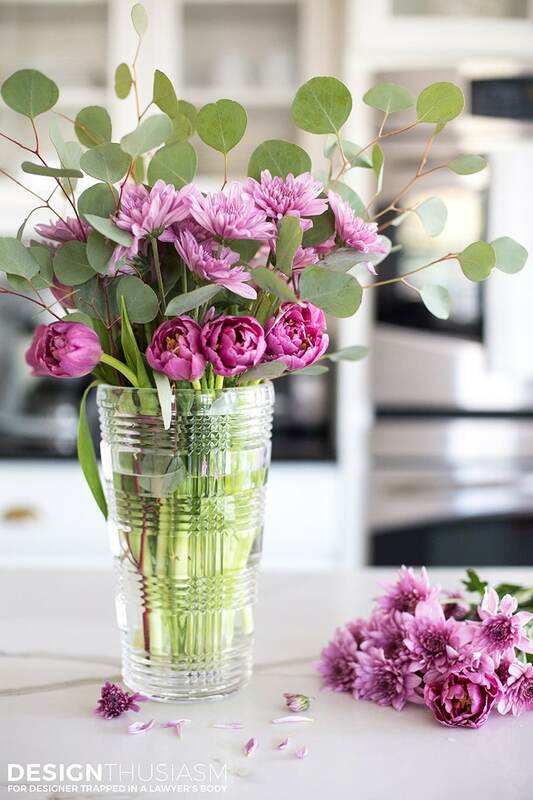 It’s easier to maintain than wood and warmer underfoot than ceramic. And I love the farmhouse character the floor provides to the room. 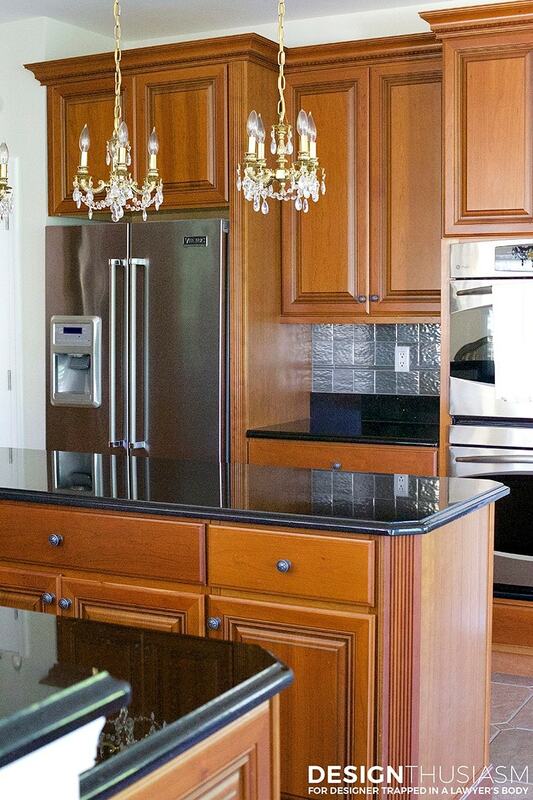 Additionally we added corbels to the island under the counter, a simple pretty detail that adds a note of finish. What I most love about our new space is that I can style it the way I want. 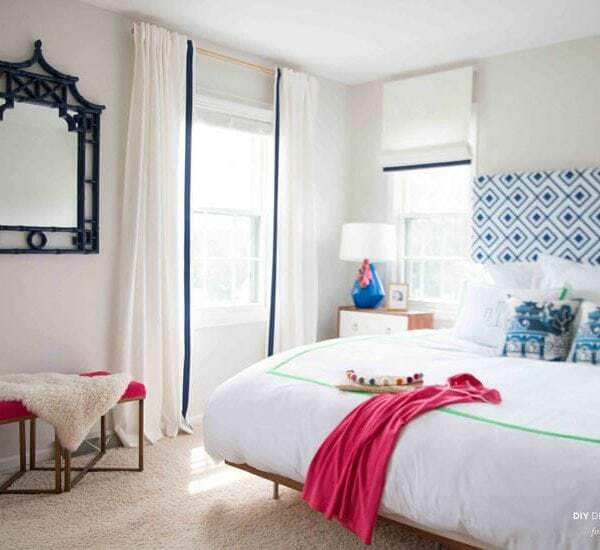 The white makes it possible to use any color for accents, and I particularly love adding vintage pieces to the room that now has a modern French farmhouse feel. 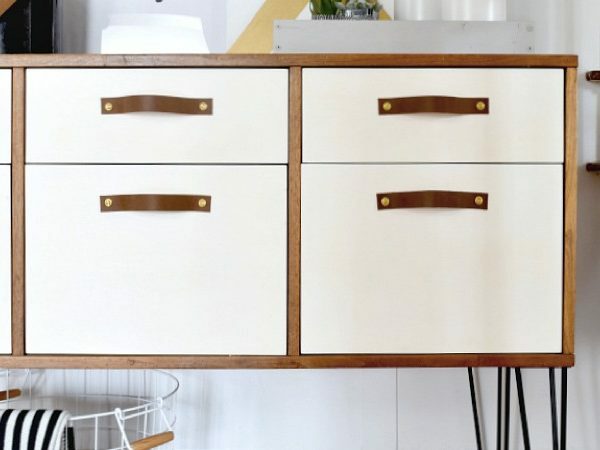 Another favorite tip for easy but transformative change is replacing the hardware. 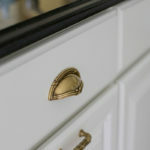 I’ve always been a fan of gold trim and the current trend for unlacquered brass coincides perfectly with my taste. I used bin pulls on the drawers and door pulls for the cabinets in this metal. It adds warmth and a touch of glam and I don’t mind at all mixing metals in my rooms. 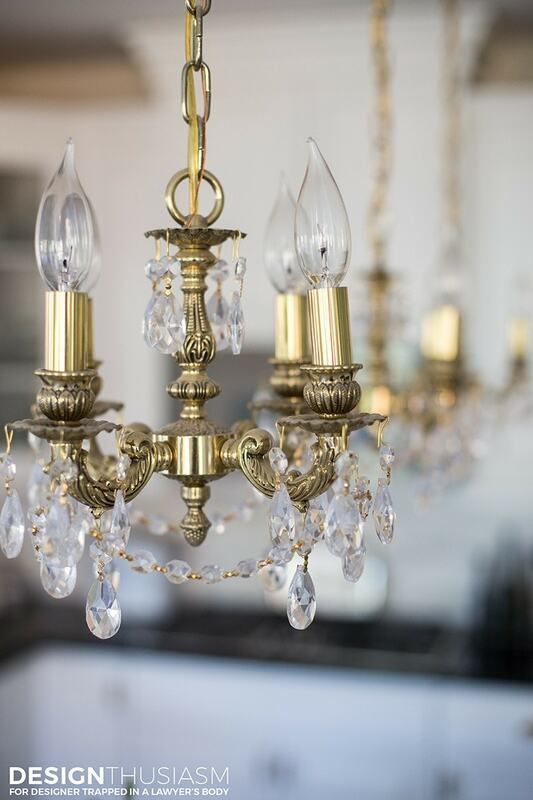 The three mini crystal chandeliers over the island pay homage to my signature style. 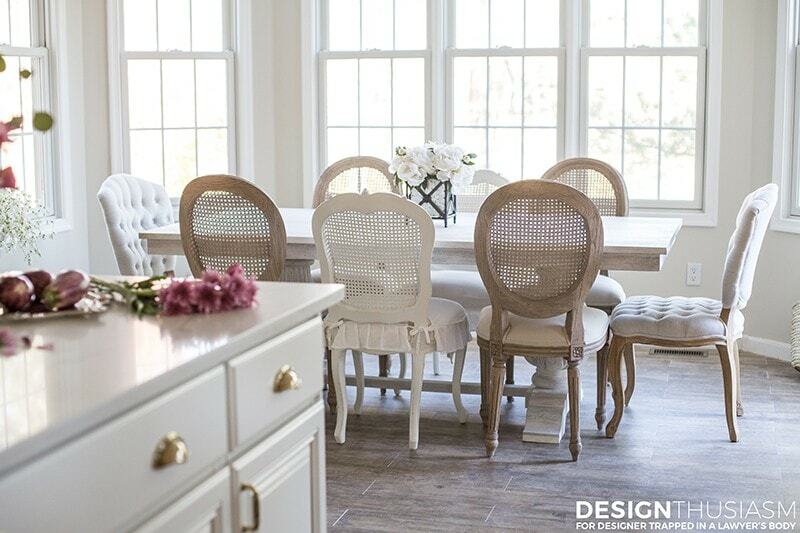 In the adjoining breakfast room by the windows I have a whitewashed farmhouse table and a mix of French country chairs. 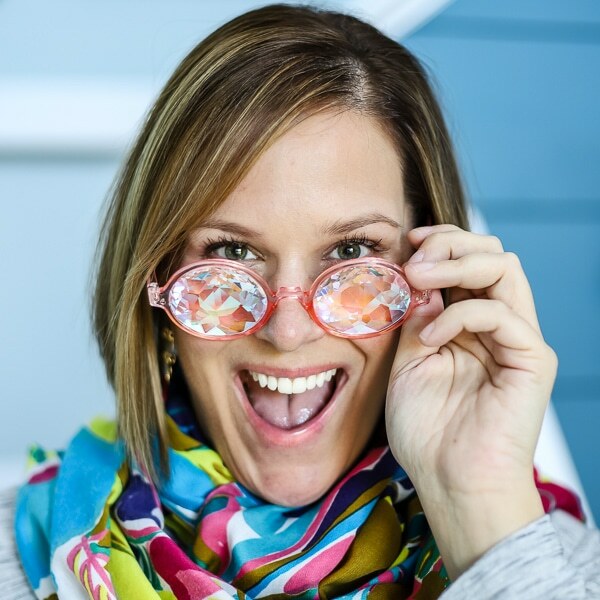 This was another serendipitous money saver, as I didn’t necessarily plan to use mixed chairs, but when you find great chairs on sale and they only have two left, mixing similar themed pieces can be a great budget option. 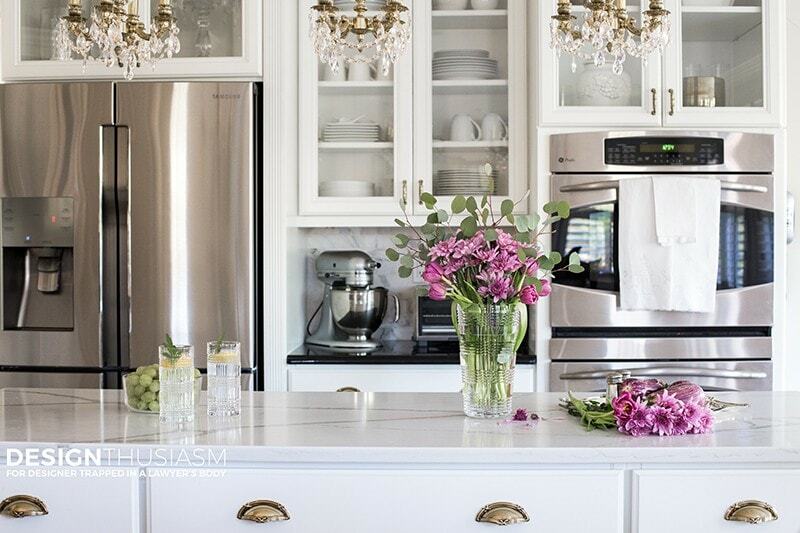 The kitchen is the heart of our home and I love feeling good when I walk in here. 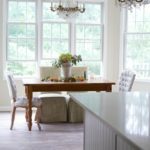 If you’re not loving your kitchen and you think a total kitchen makeover would be too costly, take a second look at what’s already there. What can be changed with paint? What would be an inexpensive upgrade? 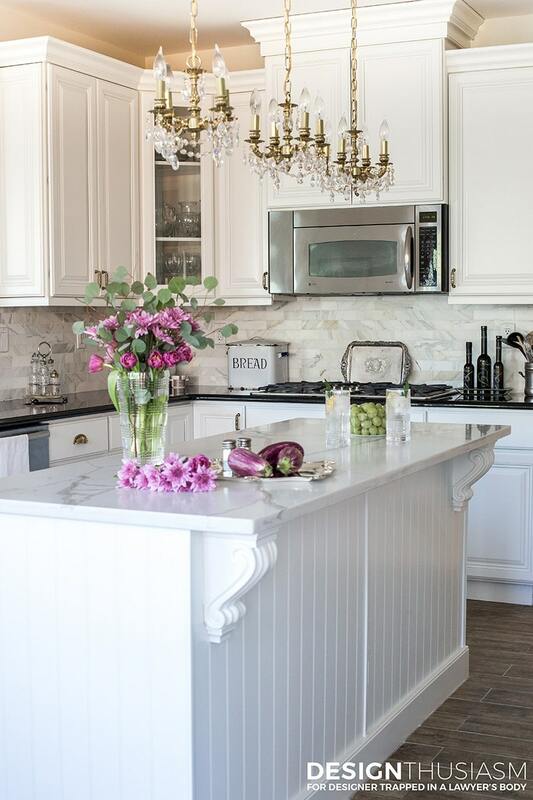 By finding the impactful changes that don’t cost a lot, you just may find space in your budget for that marble backsplash you’ve always wanted. 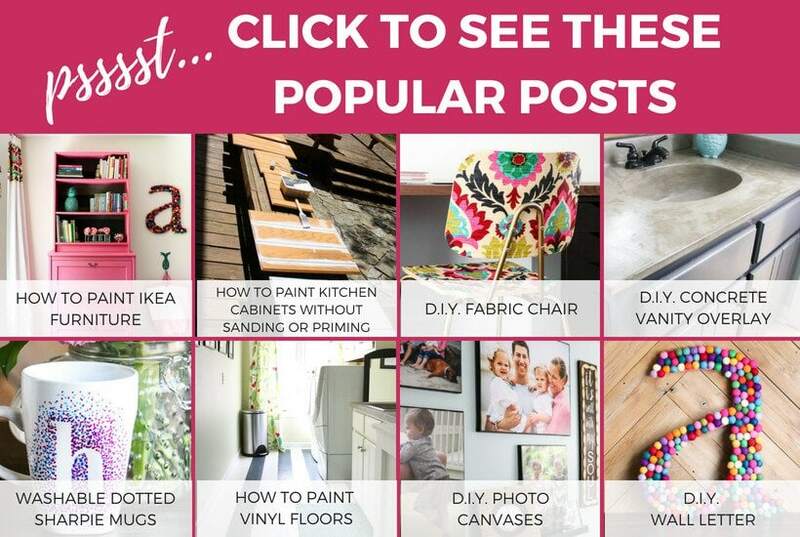 ← Top Ten Most Popular Posts of 2017: DIY Projects and More!